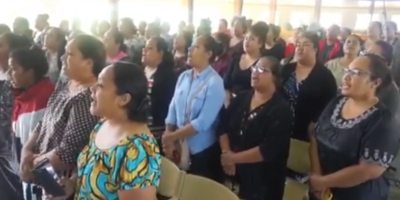 The FWC youth in the Central Area held their annual festival program at Tupou College this afternoon. The yearly program aims to unite the youth members through social programs and members are encouraged to perform various dances as part of today’s entertainments. There’s hope the program will encourage youth to work together during the Christmas season. The program today began with a float parade. The central area includes members from Ha’ateiho, Pea, ‘Utulau, Ha’alalo, Tokomololo, Veitongo, Kolose, Folaha, Lomaiviti, Vaini and Malapo.